Whatever you are in town for, transportation should always be something you plan ahead much like a hotel room or your itinerary. MW Travel Vegas offers the most exceptional transportation services from McCarran Airport to wherever you need to go so that you can make one more part of your trip stress-free. The airport itself can be difficult to navigate especially for visitors who are not at all familiar with its layout. This is why we provide a meet and greet option where we will be waiting for you when you arrive to assist n retrieving your luggage and then leading you to your transportation of choice. Plus, many visitors get lost in the side streets of Las Vegas or completely frustrated being stuck in what feels like endless traffic. There is no need to make your visit here start off in a way that affects your entire trip. MW Travel Vegas offers luxury sedans that seat up to three passengers in a clean comfortable vehicle that is air-conditioned and we have only experienced drivers who place safety, customer service, and efficiency as their highest priority when serving you. Do not leave your plans to chance by standing in the long taxi-cab line at the airport with your luggage in tow exhausted from your flight. Where you do not know how reputable the cab driver is, how clean the vehicle will be, and is he really giving you the best route that saves time and money? Make the right decision and experience your stay here whether it is for business, pleasure, or both the way it should be experienced. Pre-book your airport sedan transportation services with MW Travel Vegas for your next visit and ensure that all your plans run smoothly. A quick call to our helpful employees for your booking will see to it that we are where you need us to be upon your arrival at McCarran Airport. Feel free to mention any additional plans you may have while here in Las Vegas and we can help you find the time so that your trip here is not only enjoyable but truly memorable. With the time you will save letting us take care of your in-city transportation needs, you will have the ability to see and enjoy even more of the world’s greatest playground. 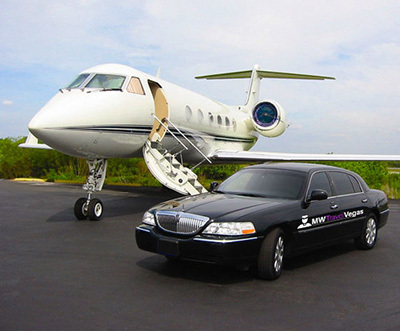 MW Travel Vegas will get you there in style that can be relied upon.